Dr. Ziad Abu-Rish. Photo by Tania El Khoury. 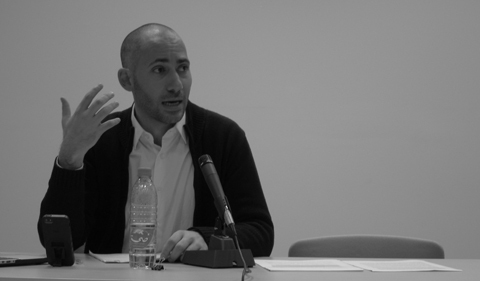 The Lebanese Center for Policy Studies (LCPS) interviewed Dr. Ziad Abu-Rish, Assistant Professor of History at Ohio University, about the role of “the state, or lack thereof,” in the contemporary history of Lebanon—looking back to the first 15 years after independence from France in 1943, a period that predates the country’s 15-year civil war, which began in 1975. Located on the eastern Mediterranean, and bordered by Syria to the north and east and Israel/Palestine to the south, Lebanon has typically been studied through the lenses of sectarianism, war, refugee flows, occupation and international intrigue. By contrast, Abu-Rish’s research helps to paint a picture of a newly independent state whose officials and citizens were active participants in debates about the nature and future of its institutions. He is currently working on a book manuscript that narrates and analyzes the political, social, and cultural history of state formation and economic development during the first decade and a half of independence. “I think it is important to understand that Lebanese citizens living in the first decade of independence could not have predicted the civil war was coming,” he says. While some of its neighbors ultimately featured state-managed economic development, Lebanon experienced a more open, laissez-faire economic development, Abu-Rish points out. That different path of development, he notes, was the result of history, contingency, and strategy rather than something intrinsic to Lebanon as a country or society. Read the entire interview with the Lebanese Center for Policy Studies (LCPS). Abu-Rish also gave a research lecture in the spring at the American University of Beirut, hosted by their Center for Arab and Middle Eastern Studies (CAMES). He is spending the 2015 summer conducting research at archives in Lebanon and the United Kingdom. “LCPS has established itself as a leader in bridging critical research and policymaking in Lebanon, so it was quite the honor to be asked by them to speak about my Lebanon research,” he said, noting that it’s rare for historians to be sought out by organizations that are otherwise focused on the present.